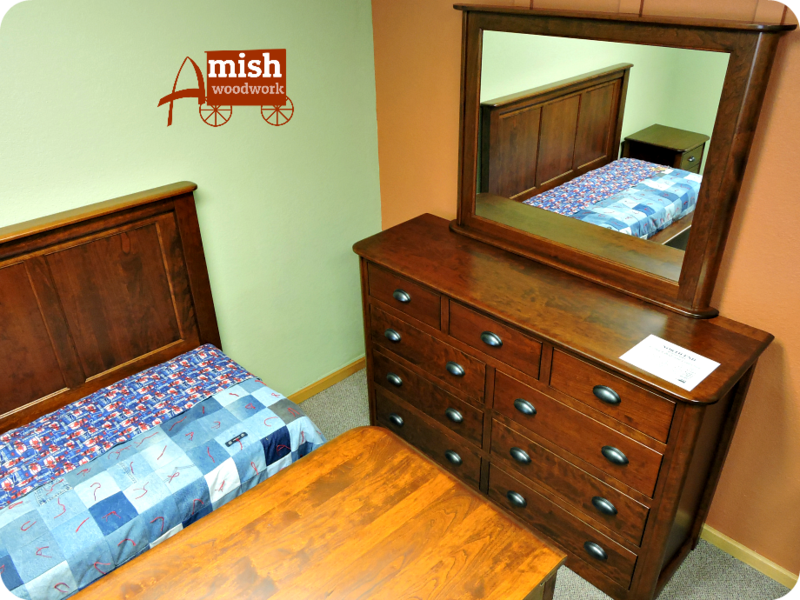 Amish furniture is our specialty here at Amish Woodwork. The Amish furniture is handcrafted and built with attention to detail “like they used to build it.” Amish handcrafted furniture is top quality. 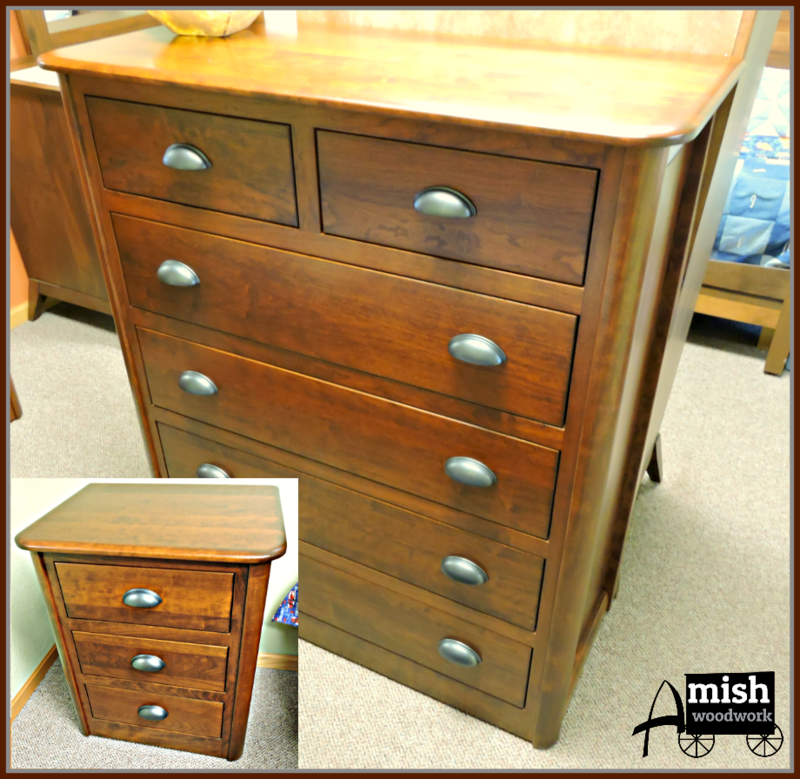 Amish furniture is American made in Indiana, Ohio or Pennsylvania Amish country. 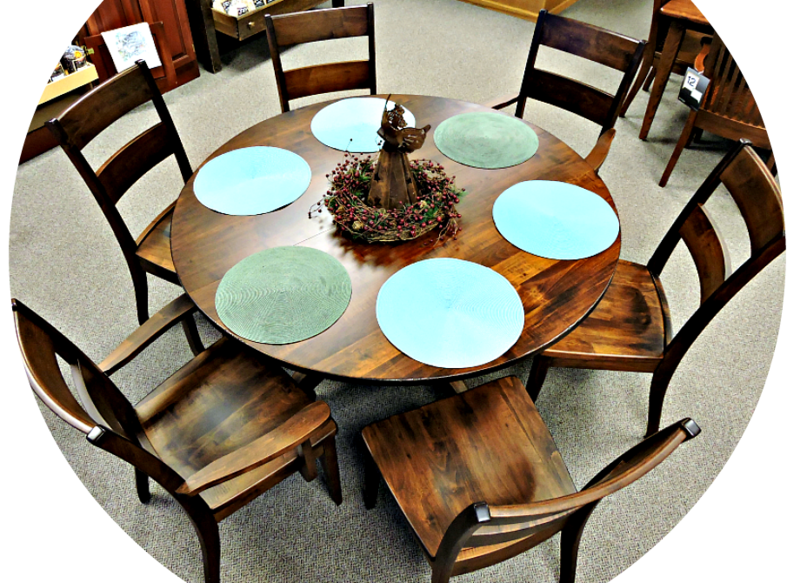 We offer all types of furniture including Dining Table sets, Hutches, Bedroom sets, Bar stools, Rockers, Gliders, Jewelry Chavals, Entertainment stands, Book cases, Office furniture, Benches, Coffee table, End tables, Rustic furniture, Children’s high chairs Children’s Table sets, Children’s rockers Children’s cribs and more. When ordering your selected type of furniture you will have options to choose from. These options include choice of wood species, stain color and in some cases the hardware. Once all options are selected your furniture will be ordered and built for you. Solid oak, brown maple, maple, cherry, walnut and quarter sawn white oak are just a few of the hardwoods we offer. From casual dining to formal dining, traditional and contemporary designs, we have a range of styles to suit anyone’s taste. Each furniture type, such as a table, chair, or bedroom is made-to-order from carefully selected North American hardwoods, built by a skilled craftsman, and finished by hand with top-industry finishes. Visit our Amish vendor links for more inspiration! View a few in-store examples below.